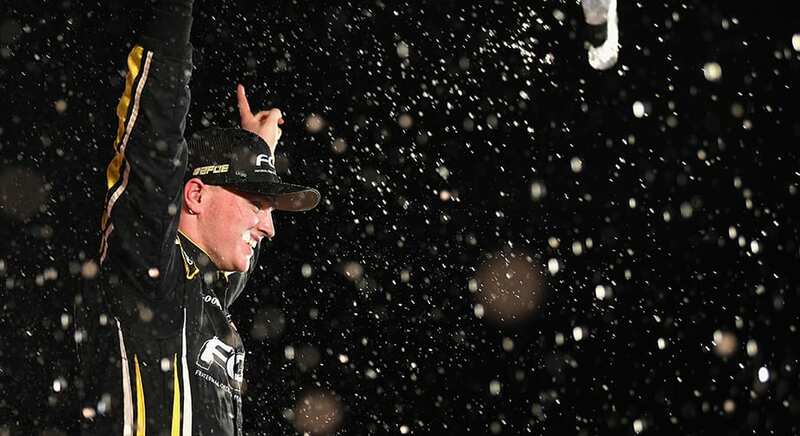 – Todd Gilliland’s heartbreak was serendipity for Justin Haley, who staked out his place in the NASCAR Camping World Truck Series Championship 4 race with a stunning victory Friday night at Texas Motor Speedway. I didn’t quite maximize my pit road (on the final green-flag stop)… This is a once-in-a lifetime opportunity. Haley stopped under green seven laps later and was five seconds behind Gilliland when the pit sequence cycled out. “I didn’t know we were close on fuel at all,” said Gilliland, who hit the wall in qualifying and had to start from the rear of the field after his team made unapproved adjustments to the truck. “I wouldn’t say good, bad or either, but it’s certainly different… We lost a lot of track position, and it doesn’t matter what you have under the hood here at Texas, you’re not going to make up that many spots. Noah Gragson, who finished 10 th , is the fourth in the Playoff standings, 18 points ahead of Grant Enfinger, who ran out of fuel on the final lap and finished 12 th , and 23 ahead of two-time series champion Matt Crafton, who ran ninth.